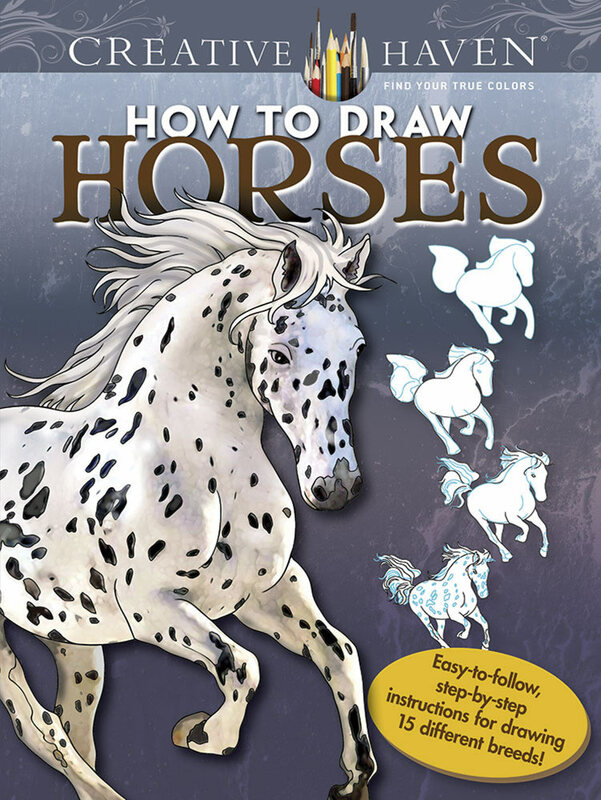 With easy-to-follow steps and realistic coloring suggestions on the inside covers, this outstanding guide will show you how to draw 15 different breeds of horses: Appaloosa, Clydesdale, Morgan, Palomin, and more. Plus, there are completed illustrations of each animal to color or trace as well as 30 practice pages, perforated for easy removal from the book. Specially designed for experienced colorists, Horses Draw and Color and other Creative Haven® adult coloring books offer an escape to a world of inspiration and artistic fulfillment. Each title is also an effective and fun-filled way to relax and reduce stress. Marty Noble.